A.V.A. Ballet Theatre will offer another full year of classical and contemporary ballets in 2019. The three classical ballets at the Pioneer Center for the Performing Arts will be performed with the Reno Phil. The popular rock ballet will be at the Robert Z. Hawkins Amphitheater at the Bartley Ranch Regional Park. A.V.A. Ballet Theatre will begin its 2019 season with "Alice in Wonderland" April 13 and 14 on the Pioneer Center stage. Choreographed by A.V.A. Ballet Theatre's artistic director, Alexander Van Alstyne, "Alice in Wonderland" is the captivating story of a young girl and her adventures in Wonderland. This enchanting story is filled with mesmerizing dance and intrigue, and is fun for the entire family. Joseph Horovitz composed the music in 1953 for the London Festival Ballet. As with all A.V.A. 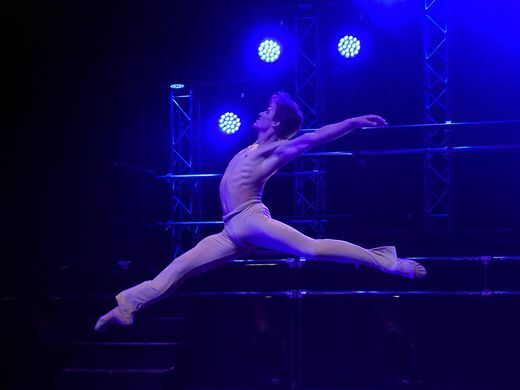 Ballet Theatre productions, guest principal dancers from major ballet companies such as Ballet West, San Francisco Ballet, and the Houston Ballet will perform with the large local cast of dancers. One of the most popular shows during Artown is A.V.A. Ballet Theatre's rock ballet "Vortex". This year's performances will be held July 19 and 20 at the beautiful Robert Z. Hawkins Amphitheatre. "Vortex" is unique as it combines classical ballet with rock songs from today's most popular performers. Imagine ballerinas performing grand jetes to music by Lady Gaga, Metallica or Katy Perry. "Vortex" is a great way to see classical ballet in a different context. The lighting, sets and props are just as important as the dancing. They become part of the show. "Vortex" is free to the public due to the generosity of several of our major sponsors. Because the ballet is a free and wildly popular, it makes for some logistical challenges at the amphitheater. The fire marshal will only allow 1,000 people into the amphitheater. We have to give everyone attending the ballet a wristband. When we hit the 1,000 in attendance, we have to turn people away. Reno really does support the arts. We will continue our expanded fall classical season with the beloved "Peter Pan." The ballet will be performed at the Pioneer Center Sept. 21 and 22. "Peter Pan" is the exciting story of Peter Pan and Wendy and their adventures in Neverland. The Reno Phil will perform composer Carmon De Leon's magnificent score. De Leone came to Reno the last time when A.V.A. Ballet Theatre performed "Peter Pan" in 2013 and conducted the orchestra. Guest principal dancers from major ballet companies in the United States will travel to Reno and dance many of the key roles in "Peter Pan." 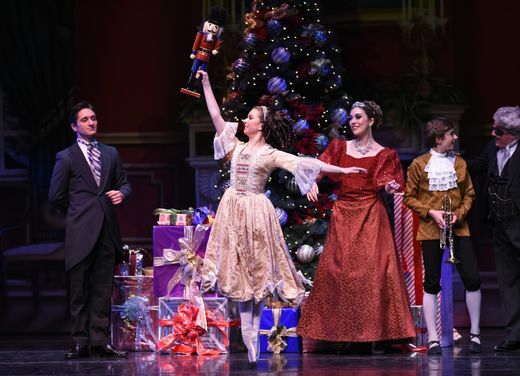 "The Nutcracker" is the single most attended nonprofit performing arts event in all of Northern Nevada. That number is going to grow. Due to the popularity of this holiday classic, A.V.A. Ballet Theatre is adding a fifth show Sunday evening. "The Nutcracker" is the story of a young girl, Clara, and her toy nutcracker soldier. Laura Jackson will be conducting the Reno Phil and Tchaikovsky's moving score in some of the best music you will ever hear. No one ever leaves "The Nutcracker" without a smile on their face.